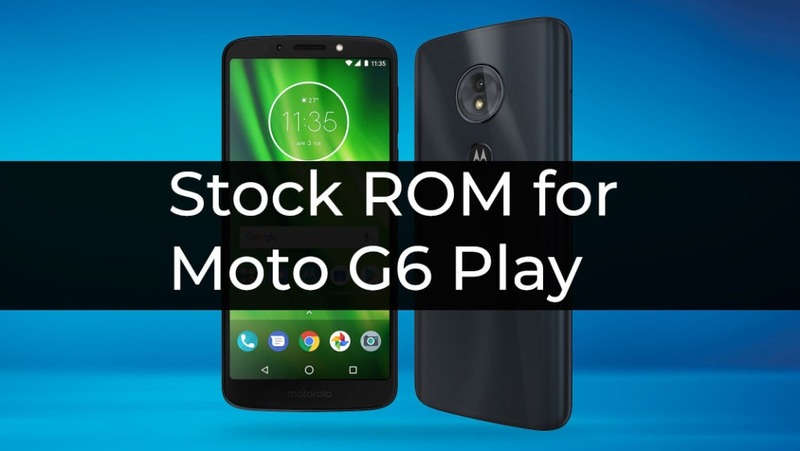 Stock ROM/Firmware for Moto G6 Play. In this post, you will find stock ROM for Moto G6 Play with a Step by step installation guide. Stock ROM or Firmware contains Android OS and the kernel which control hardware so it usually fixes the software related issues which are encountered while flashing Custom ROMs or Mods. Follow the steps given below to flash the Stock ROM/Firmware on Moto G6 Power. This will flash the Stock ROM/Firmware on Moto G6 Play.